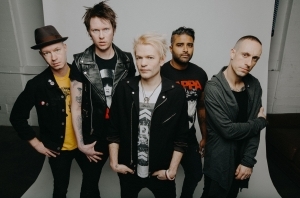 And some lucky cities are getting two nights- one acoustic, and one "fully plugged". Tonight Alive fans, rejoice! To celebrate 10 years as a band, Tonight Alive have announced a special series of gigs in the UK for November. 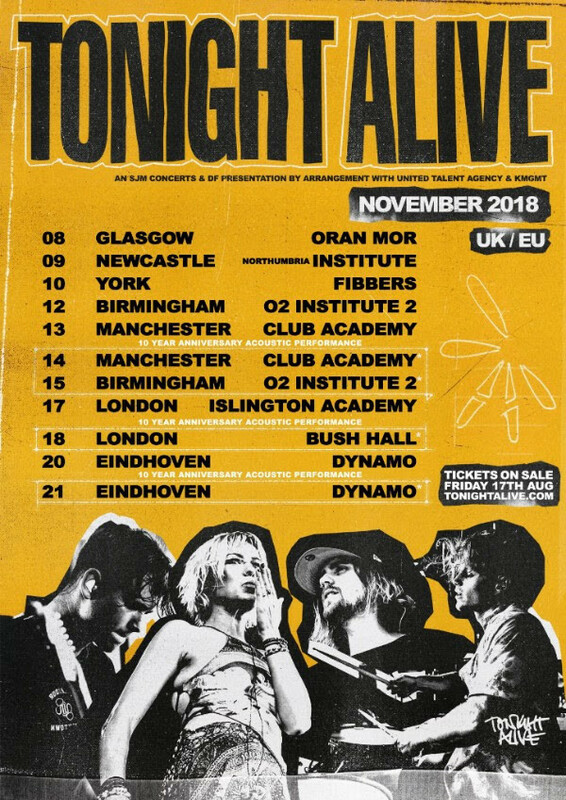 Hitting the UK for 11 shows, Tonight Alive will be playing two nights in London, Birmingham, Manchester and Einhoven with the first being a "Fully Plugged Performance" show, and the second night being a special unplugged "10 Year Anniversary Acoustic Performance". 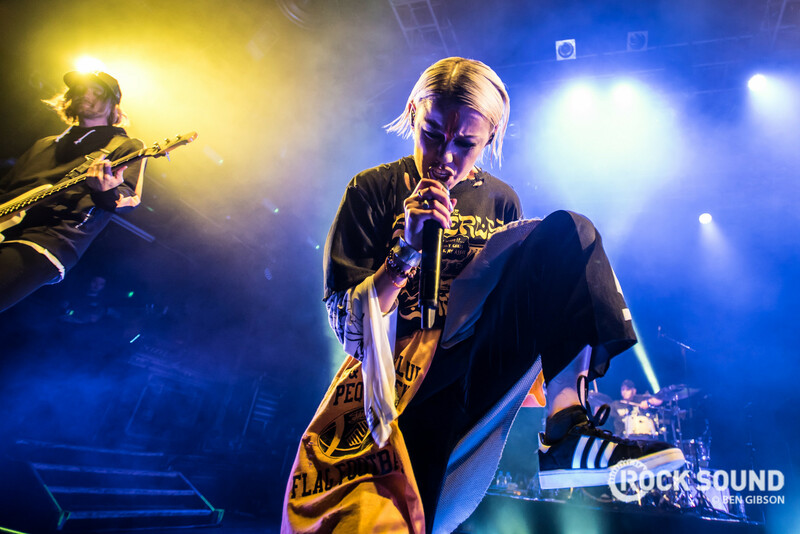 Sharing her excitement for the upcoming tour, Tonight Alive frontwoman Jenna McDougall has said "We're so excited to announce we are returning to the UK to celebrate our 10 year anniversary! From the very beginning the UK has offered us an incredible amount of support and has been host to some of our most memorable shows. The tour we are bringing this November has two elements; a live concert showcasing more of Underworld than ever before and in select cities a second, 10 year anniversary acoustic show where we will be playing a fan voted setlist spanning our entire discography. We can’t wait to see what fans pick and experience this co-creation with you!"